Someone once said you’re only as old as you feel. If that’s true, most of us feel about 110 years old. Daily responsibilities and depressing domestic and international news coming at us from all angles can make even the youngest among us feel burned out and fatigued. And the older we get, the more fatigue can take its toll on us and decrease our quality of life. 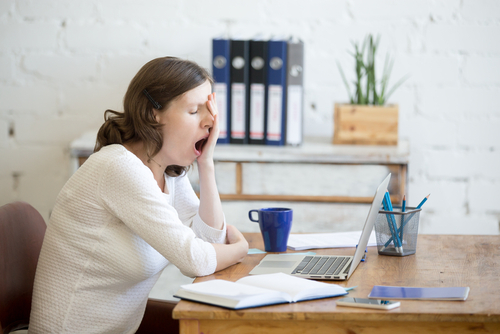 If you’re nodding your head right now, or if you can’t get your head up off the pillow to nod, then keep reading to find out what you can do to combat daily burnout and fatigue. But before we begin with our list, it’s important that we rule out any other health problems you may be experiencing. Fatigue is a common symptom of many illnesses including thyroid disease, anemia, heart disease, diabetes, arthritis and sleep apnea. There are also many common medications like blood pressure medicine, antihistamines and diuretics that can also significantly contribute to fatigue. So, if you have suddenly experienced fatigue after being prescribed a new medicine, speak with your doctor. Also, make an appointment to see your doctor if you are not on any medications and have been feeling run down for ‘no apparent reason.’ It’s important to rule out any major illnesses before moving on to this list. Okay, now that that’s squared away, here are some things you can do to eliminate fatigue. While it may seem counterintuitive, and like an idea that really doesn’t appeal to you, moving your body is one of the best ways to GIVE your body more energy. The good news is, you don’t have to overdo it to get the benefits of exercise. In fact, yoga has been found to be especially effective for boosting those energy levels. You would be surprised how many people are walking around feeling sluggish and awful, and all because they are not drinking enough water! Dehydration zaps energy and makes it harder for your muscles to work properly. Not only does dehydration cause your body to feel and act sluggish, it causes your brain to do the same thing. If you’ve noticed your ability to remain alert and concentrate has decreased, you may be dehydrated. Here’s how you can tell if your body is dehydrated or not. Check the color of your urine. It should be a pale-yellow color. If it’s dark and concentrated, you’re dehydrated and need to drink more water on a consistent basis. Are you one of those people who wakes up feeling good but by 2pm you’ve hit a wall? Maybe you’re the opposite and you struggle to wake up all day and then at 6pm you come alive – the classic night owl. Everyone has their own individual daily energy patterns, which are determined by genetics and brain structure. It’s best to become aware of your own energy patterns so you can structure your day accordingly. If you’re a night owl, with more energy and alertness at the end of the day, save your most demanding activities for that time. Let’s be clear, I didn’t say eat more meals, I said eat more SMALLER meals throughout the day. By eating more often throughout the day, you will keep your blood sugar levels even, and you won’t find your energy dipping or waning. When it comes to WHAT you should eat, favor complex carbohydrates such as oatmeal, brown rice, whole grain breads, green veggies, beans, lentils, and sweet potatoes. 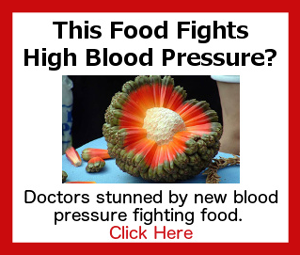 These carbs take longer to digest preventing sudden blood sugar spikes and crashes. Remember, if you eat MORE meals throughout the day, your portion sizes MUST be smaller. So, you might have five meals consisting of 300 calories instead of three meals consisting of five hundred calories. Stress takes a toll on our hearts, minds and bodies. And it seems more of us are experiencing more stress each day. Whether it’s mounting bills and mortgage payments, horrendous commutes to and from work, or trouble in our interpersonal relationships, the effects of daily stress can completely drain us of our vital energy. There is something called stress related fatigue, and it’s different than simply being tired or drowsy at the end of a long day. That’s normal after a full day of work and activities. It’s important to identify the sources of stress in your life and resolve what issues you can. If you have toxic relationships, consider ending them. If your commute is bad, consider finding an alternative route or asking for a transfer to a closer office or location. Of course, there are some stressors in life that can’t be done away with so easily. What to do then? Well, exercising and eating right will go a long way to support your body and ensure you have enough energy. Relaxation techniques like yoga and meditation can also help relieve the symptoms of stress in your body. There is also an incredibly simple and fun way to combat the effects of stress on your body. Backed by science and endorsed by organizations such as The American Heart Association, The Mayo Clinic, and Johns Hopkins University. It’s called Sonic Wave Relaxation Therapy and it’s fun, easy to do, and can alleviate the symptoms of stress (like high blood pressure) in as little as 10-15 minutes a day. For less than a dinner for two, you can begin using a powerful system that can completely change your health and your life for the better! Age 77 Feel tired all of the time, also feel dowm. And am Diabectic , fighting Diabectic Resistance alll the time.